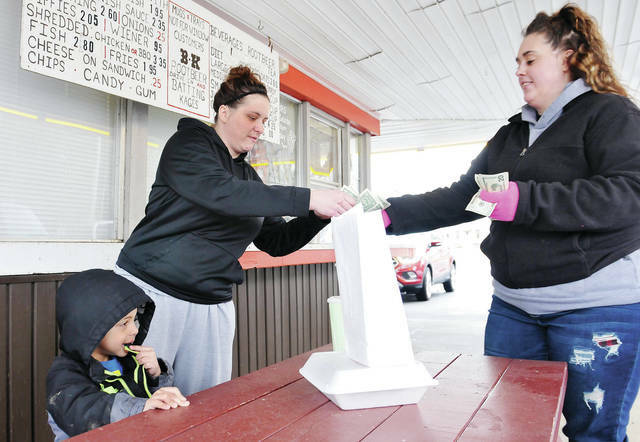 Jamarkus Cowan, left to right, 3, watches as his mom, Catelynn Cowan, buys a Spanish hotdog, fries, and a root beer from Chelsea Goble, all of Sidney, at the B-K Root Beer Drive-In. Weiler stopped by the drive-in on its season opening day Thursday, March 21. Jamarkus is also the son of Charles Cowan.